Ironically, if you wish to own a muscle car today, you need to be prepared to pay about the same price as you would for a European sports cars or more. Since many of the popular muscle cars are no longer in production, they are pretty rare, and thus quite expensive. As an example, a mint condition 1970 Chevelle can cost upwards of $50,000 or more. 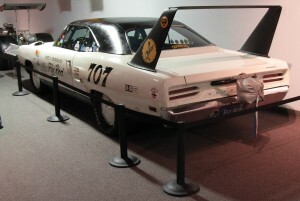 A rare 1970 Superbird, even one that needs reconditioned, can sell for $100,000 or more. This is because only 2,000 of these models were ever produced. Often times, the difference between owning a sports car today and a muscle car isn’t about the cost, but the preference of the owner. If someone wants a sleek, low profile car that catches people’s eye, and exudes class and distinction, they would probably opt for a sports car. Those who love the raw power and looks of a muscle car, will be more than happy to pay a similar price for a top of the line model of their choice. In the end, there will always be debate about sports cars vs. muscle cars. Some people will tell you that they all belong in the same category, while others will vehemently deny these cars should ever be classed together. In reality, all that matters is that the car you buy makes you a happy and proud owner. Hopefully it is One that you will want to show off and is the apple of your eye, even ten years after you bought it! Discover the insider scoop on a double din car stereo [http://doubledincarstereo.net/] and what you must know to make your buying decisions easier.